Hi folks! I’m happy to announce that Tiny r(E)volution is now offering another e-course session. Almost one year ago Tiny r(E)volution led by Andrew Odom introduced a new concept in tiny house building; an e-Cours(E). With an enrollment of nearly 45 participants the course was enthusiastically received and proved to be a great alternative to those that couldn’t or didn’t want to attend a more traditional workshop on tiny houses. Spring 2014 is going strong now and summer vacations are looming large. 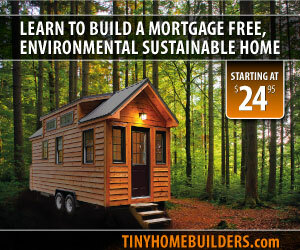 Many are thinking that this is the time to begin their tiny house build. Because of such Tiny r(E)volution is pleased to present another term of Small Home. Big Life. Small Home. Big Life., a four-week, self-guided course is designed to carry a person through the beginning stages of building a tiny house from the dreaming phase to the drying in of a tiny house. It is even more than that though. Infused with personal experience and anecdote as well as guest interviews and stories, the month features detailed instructions, creative prompts, guest artists, and multi-media examples, that serve to inspire and educate. So if this sounds like something you’d be interested in, I highly encourage you to check it out and sign up!